I'm always trying to take up a new hobby, but I never can. The problem is, once I get interested enough in the hobby to spend time getting good at it, I find a way to tie it into my career or my platform, and then it suddenly becomes part of my job. And if I can't find a way to tie it into my career goals, I just won't invest the time to get good at it in the first place. My main hobby right now is probably art. I call art a hobby because, in general, I don't get paid for my art, save for a few drawings I sell here and there. 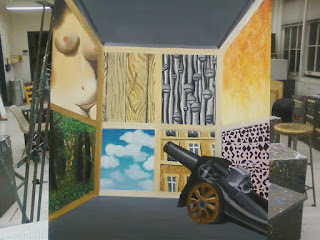 But for the most part, I draw and paint just for fun, and to improve my skills. Where things get complicated is, once I realize how much time I've spent devoted to working on my drawings, I start finding ways to tie it into my career. 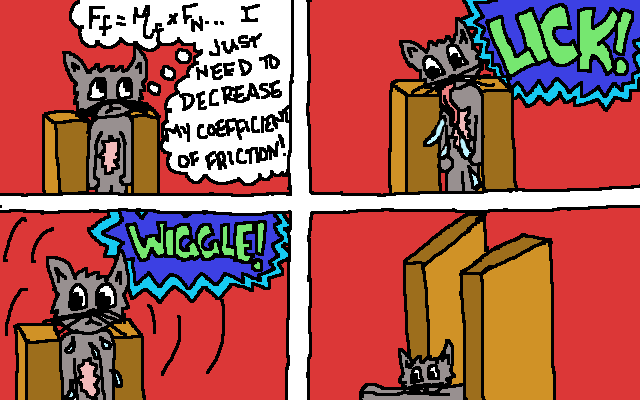 For example, in college, I drew a webcomic called Physics Cat, just for fun. But after spending hours and hours every week working on the art for it, I decided to create a greeting card line based on Physics Cat. I sold the greeting cards to raise money for charity, so it wasn't really a business or a career decision, but in the end, I couldn't let it stay a hobby. Once my greeting card sales started dwindling down, the time I spent drawing Physics Cat did, too. Back in the day, when I painted just for fun, I made this. favorite thing I've ever painted. I also used to be into sci-fi as a hobby. If you've ever met me, you know that my favorite movie is Back to the Future, because I mention it on average once every ten seconds. When I was a kid, I loved writing little time travel stories just for fun. It never mattered if they were good or not. When I got older, I got really invested in Star Trek, too. Then I started joining Tumblr and AO3 and all other kinds of forums for sci-fi fandom. Then, I said to myself, "I should start drawing Star Trek fan art." Of course, my next thought was how much time I should spend on the fan art so that I could put it on my blog, put it on the Internet, and get myself a larger audience for my writing. So, suddenly that wasn't a hobby anymore. THEN, I started writing sci-fi, like the newest novel draft I just completed, Sculpt Yourself. The novel I'm planning to write for NaNoWriMo later this year is going to be a time travel adventure. I used to enjoy writing in a journal. Then I started a blog. That one should be self-explanatory. 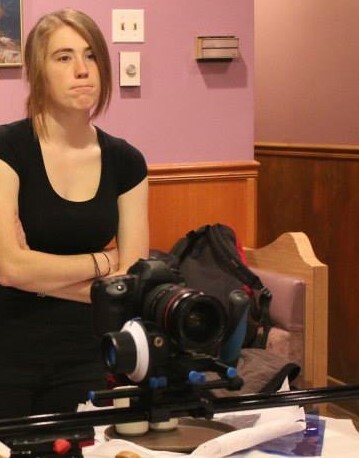 Young, skinny, sassy filmmaker Savy. She's still in there somewhere. I used to make movies for fun. In middle school and high school, I was always carrying a messenger bag with me, filled with my camera, tripod, and a bunch of mini-DV tapes (remember those??). I'd make movies with my friends about everything. I'd make fun stop-motion videos about Barbies. Then, I started working on student films in college. And suddenly, film stopped being a hobby, and started being work. Now, I'm having a blast making a vlog, but I won't lie and say it's just for fun. I also want to get on YouTube, reach people, and find a bigger audience for my writing. I don't spend time on stop-motion videos anymore, because YouTube is already so flooded with stop-motion videos, that I'm not sure the time I spent on them would even be worth anything. Nowadays, I have to measure my interests in worth. That's what adulthood is all about, I guess. I guess when you choose to pursue a creative field, this all kind of comes with the territory. All the things you're good at stop being hobbies, and they start being skills you can utilize to set yourself apart from other creators. Don't get me wrong; I'm not complaining. I love that I can incorporate so many different interests into my overall career. It's a dream come true. At the same time, it feels like everything has stakes nowadays. About a year ago, I started taking dance classes. Dance relates to absolutely nothing that I do professionally. It was nice. When I was in the class, it hit me: I could work really hard on trying to get these dance moves perfect, just for this hour and a half. If I got them wrong, there were no consequences. I could focus on doing a good job, because there was a time limit on it. I'd be here in the dance studio for a set amount of time, regardless of how much work I had to get done, so there was no risk of my dance time bleeding into my work time. Then, of course, since writers make almost no money, I wasn't able to afford dance classes for long. But it was a fun experience: working on building skills at something just for fun. I hope I'll be able to feel that again one day. What do you guys think? Any writers out there have advice for managing to keep your hobbies just for fun, while still working hard to build your platform? Tell me in the comments! I'd love advice from other writers on how you balance this! I'll be writing another post soon about mixing business and pleasure, so you can get more of my perspective on how I manage that.